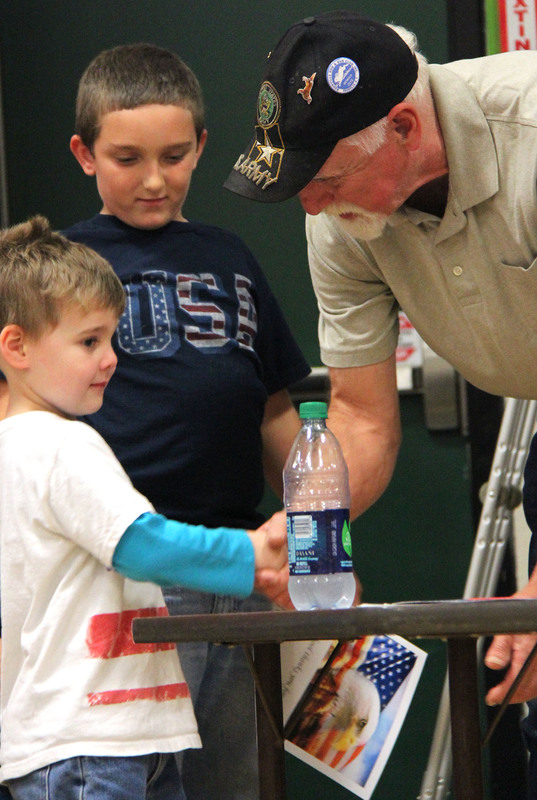 VOLNEY – Volney Elementary School students presented 29 local veterans with recognition certificates during the school’s annual Veterans’ Appreciation Day assembly on Tuesday (November 10). U.S. Army veteran James DeCare smiles as grandchildren Gavin Cox, left and James DeCare thank him for his service and present him with a recognition certificate. Sixth grade teacher William Cahill emceed the celebration, which is an event retired colleague Mary Kimball began about five years ago. 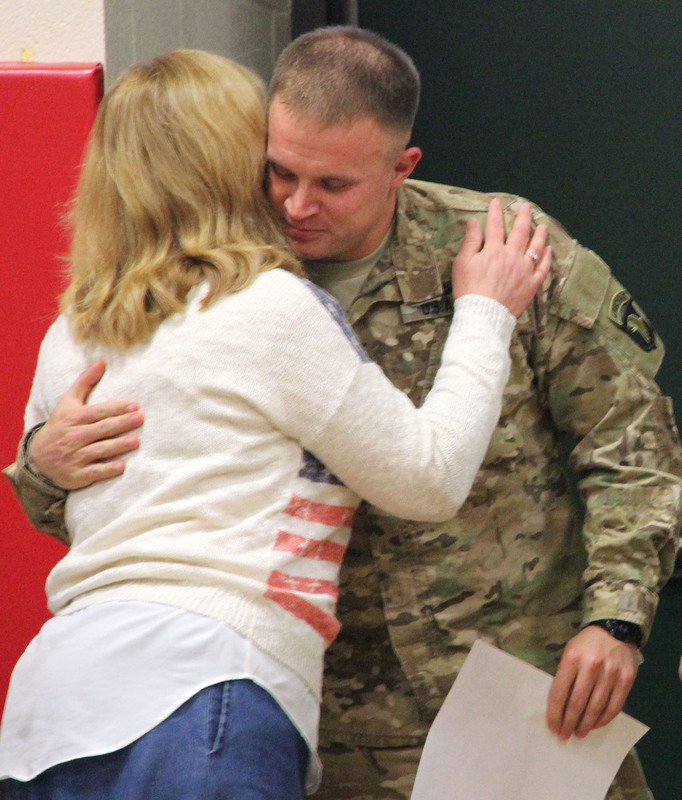 Throughout the past few weeks, Cahill said many students have learned the history of Veterans’ Day, what the Armed Forces do, and how important it is to tell and show veterans that people are thankful for their service. Volney Elementary nurse’s aide Annette Hanczyk receives a hug from her son, U.S. Army Capt. Michael Hanczkyk, during the school’s Veterans’ Appreciation Day assembly. “We’d like veterans to know that we are teaching patriotism in school, and students are learning that without our veterans we wouldn’t have our freedoms,” Cahill said. He said he hopes the assembly showed students there are real heroes in their families and local communities. A couple changes, first off James DeCare is not the grandchild he is the great grandson of veteran. Gavin Cox is a friend of the family who was presenting the veteran. The whole ceremony was just a fantastic presentation and the kids were amazing. Thanks to all staff for putting program together and students for your respect.